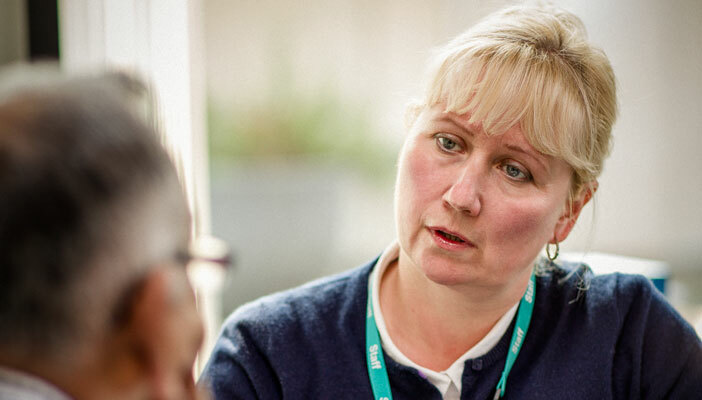 A new RNIB report highlights the difference that Eye Clinic Liaison Officers (ECLOs) can make to a busy eye department, freeing up clinician's time and acting as a bridge between health and social care. Eight ophthalmologists from across the UK share their views and explain the positive benefits they have brought to both patients and staff in the Sight Loss Advisers, supporting patients and eye departments report. The findings underline RNIB's call for every eye department in the UK to have access to an ECLO. Research suggests that only 30 per cent of eye departments in the UK currently have access to a qualified sight loss adviser or ECLO. Year on year ophthalmology continues to have the second highest number of outpatient attendances of any specialty. This places enormous pressure on ophthalmologists, ophthalmic nurses and other medical staff to diagnose and treat patients. Fazilet Hadi, Managing Director of RNIB Engagement, said: "Nobody should be left to face sight loss alone. Sight loss advisers use their expertise to work with the patient to identify their individual needs and to refer them onto vital support services. "ECLOs can help to free up clinicians’ time. They contribute enormously to the efficient running of a department and our research shows that the service can deliver a welcome financial return to health and social care budgets of £10.57 for every one pound invested. "We are calling upon ophthalmologists in all hospitals to explore the need for a sight loss adviser service and to initiate discussions within their eye department." Professor Carrie MacEwen, President of The Royal College of Ophthalmologists, added: "ECLOs provide a valuable service in the running of any busy eye department and RNIB’s ambition for every eye department in the UK to have access to an adviser will benefit patients at a time when they are most vulnerable." In addition, RNIB has produced a useful briefing to help professionals develop a successful business case in order to secure an ECLO at their workplace as well as the training needed for the role.